PHILADELPHIA, PA —(August 5, 2014)—Mohr Partners, a global corporate real estate advisor, has appointed Paul M. Carabasi as a Managing Partner in its Philadelphia office, joining Managing Partners Tom McLaughlin and Pat McNulty. Mr. Carabasi brings over 30 years of real estate and entrepreneurial business experience. His real estate experience base includes strategic planning, asset management, repositioning/implementation process work, tenant representation, owner representation and portfolio management. Prior to joining Mohr Partners, Mr. Carabasi spent eight years at Stockton Real Estate Advisors, where he provided senior-level advisory and consultative services to both institutional and corporate clients. 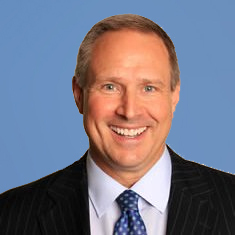 On behalf of Keystone Foods and Fresh Direct (as part of long-term engagements), he spearheaded multiple national and regional restructuring initiatives addressing new and existing assets including corporate headquarters locations. Mr. Carabasi also spent 18 years at the Binswanger Company, serving as Senior Vice President of the Advisory Services Group for eight years. His client list included AT&T, Lucent Technologies, Chase Manhattan, QVC Corporation, Unisys, SAP Americas, Rohm and Haas, UGI Corporation, FMC Corporation, SKF USA, Inc. and SCT Corporation. On behalf of these clients, he conducted business across the United States, as well as in South America, Europe and Asia. Prior to joining Binswanger’s Advisory Services Group, Mr. Carabasi served as Senior Vice President responsible for the company’s suburban Philadelphia brokerage operations. He established Binswanger’s first fully-staffed suburban office by managing the sales force and daily operations and expanding the company’s landlord and tenant representation presence in the marketplace. He holds a Master of Corporate Real Estate designation (MCR) from CoreNet Global and is also a licensed real estate broker in Pennsylvania. “Paul brings a very extensive and impressive background in the Philadelphia real estate market as well as nationally. The experience he has gained over his extensive career will greatly enhance our Philadelphia office,” said Mr. McNulty. “With our office being in its tenth year since its founding, we are positioning the Philadelphia office to expand the depth of services to our clients. We will continue to partner strategically with our clients to reduce occupancy costs, increase capital, and improve operational efficiencies and processes that will increase the value of our clients’ real estate portfolios,” said Mr. McLaughlin.